Renowned for fresh catches like lobster and mussels, seafood is not the only draw to Canada’s smallest province. Red-sand beaches, idyllic lighthouses and a wealth of culture and history will ensure this little island makes a big impression. PEI is called ‘Canada’s food island’ for good reason. We’ll tell you the best time to plan your visit around the top food festivals so you can get your fill of lobster, oysters and those famous little PEI potatoes. 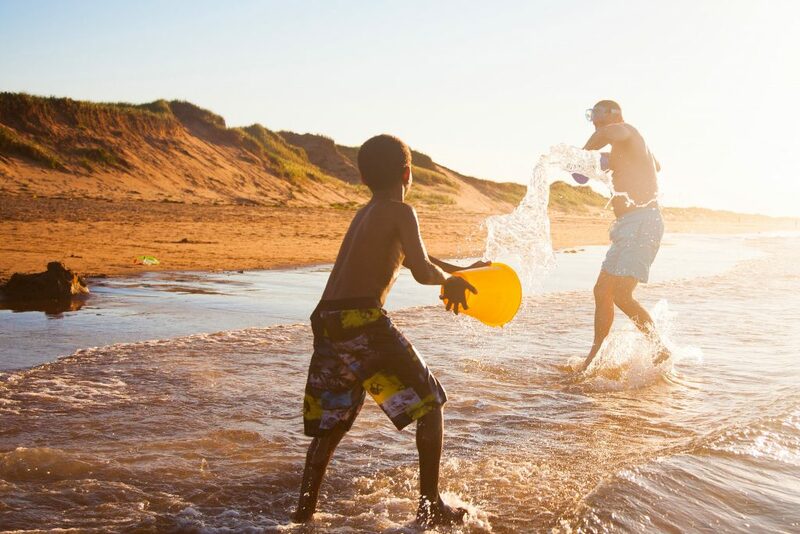 We’ve fallen for PEI’s charm. We love the red sand beaches, idyllic green landscapes, the plentiful bounty from the land and sea, and we know you will too. Whether you’re crossing the incredible 12 km (8 miles) Confederation Bridge or arriving by ferry, when you land in Canada’s smallest province you’ll be met with big adventure.